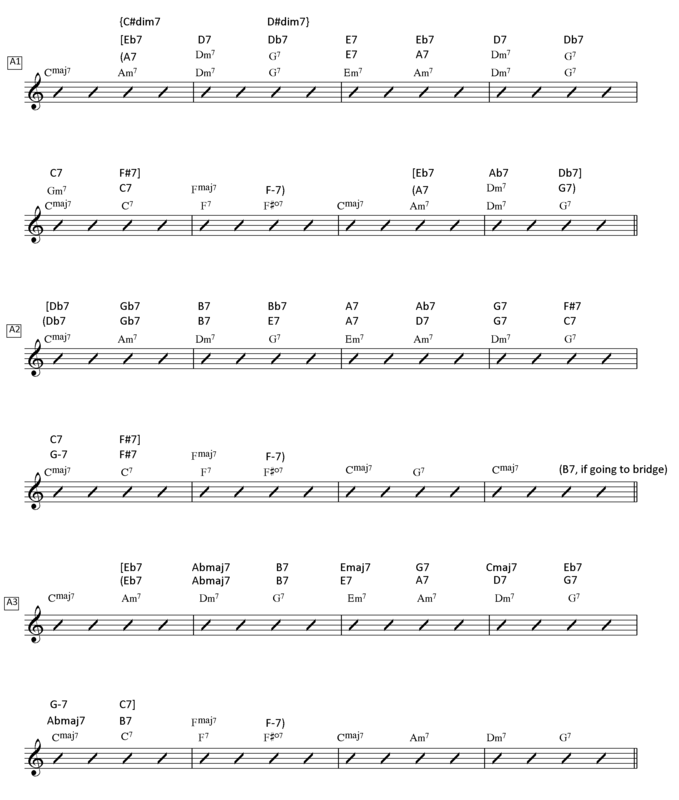 Jazz history is rich with examples of contrafacts (which are original songs created by composing a new melody over a preexisting set of chord changes) based on the rhythm changes form and progression. 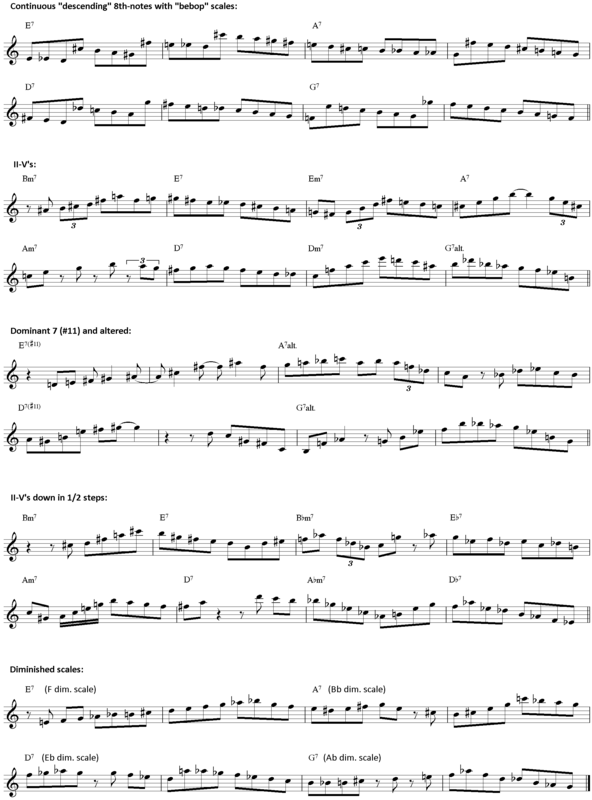 Famous rhythm changes tunes include “Anthropology,” “Dexterity,” “Oleo,” “Lester Leaps In,” and “Cottontail” among many, many others. 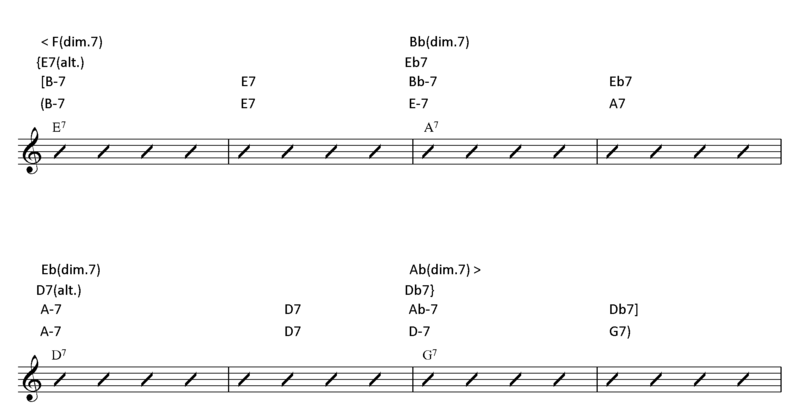 The rhythm changes form is highly flexible and there are a wide variety of ways to conceptualize this classic chord progression while improvising over it. In this lesson, I want to look at just a few ways you can break down and approach the “A” section and the “B” section of a rhythm changes. 1. You can think about every individual chord separately and try to “catch” all the changes by clearly referencing them as you play. 2. You can try to simplify the harmonic progression and play in key centers. Trying to catch all the changes is difficult, but you can really generate a lot of cool lines and chromaticism this way, especially when you start exploring all of the various types of common chord substitutions that are available for you to exploit, such as tritone substitutions, diatonic substitutions, and superimpositions. For simplicity and contrast, try reducing the whole 8 bar phrase into a few key centers (for example, I -> IV -> I or V of I -> I -> V of IV -> IV -> V of I -> I). 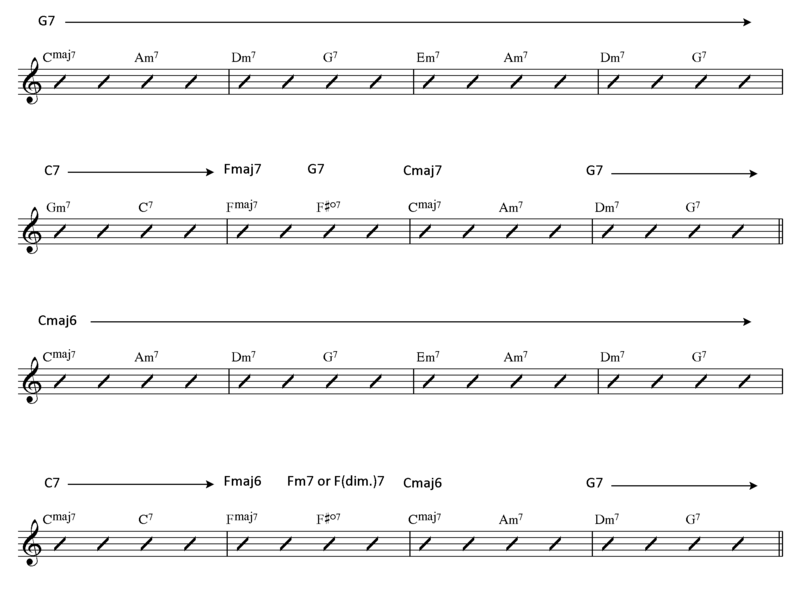 Now let’s tackle the rhythm changes Bridge, or the “B” section of the AABA form. 1. Treat them as basic dominant chords and use bebop scales. 2. Treat them as II-V’s. 3. Alter any or all of them (it’s especially useful to alter the 2nd and 4th dominant chords of the bridge and play the 1st and 3rd ones as a dominant 7 (#11)’s. 4. Superimpose other chords, including chromatic chord progressions. 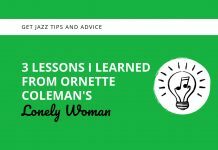 I hope you find these approaches to rhythm changes helpful and fun to practice!